CasperoBoard is a fully responsive HTML Backend template based on Twitter Bootstrap. The Bootstrap Framework makes it fully responsive to all screen resolutions and aspect ratios. Moreover, thus it carries a lot of useful features, for instance additional HTML elements, set of CSS components, grid system and much more. 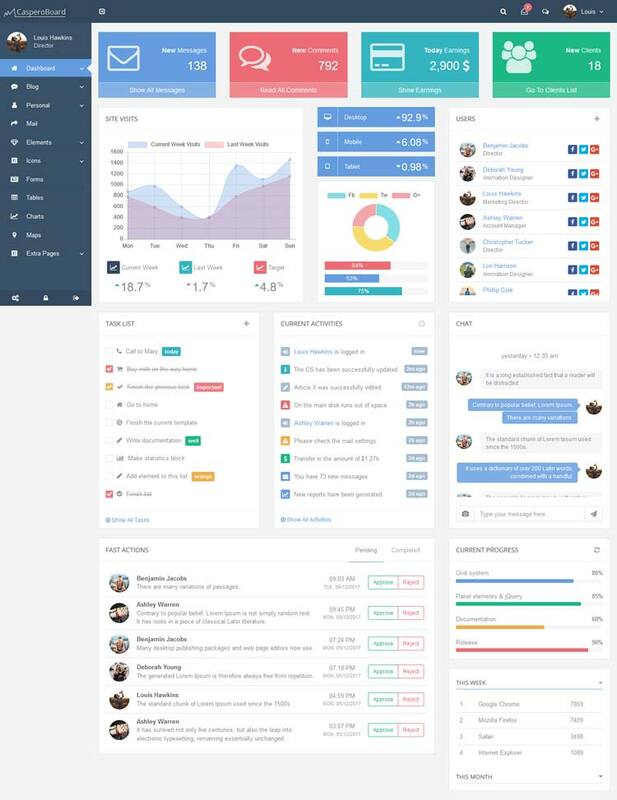 CasperoBoard is a mobile optimized and multi-device ready responsive admin dashboard template for webmasters who enjoy to look at and work with FLAT design. The template comes in-built with plenty of User Interface kits that have been built using Bootstrap.